In case you missed it, in a wondrously competitive game in the Spanish Super Cup last night, between FC Barcelona and Real Madrid, featuring the winner of El Copa Del Rey and the champions of La Liga “Real Madrid”, it saw the latter come out on top in the 1st leg at the Nou Camp, exerting their dominance ahead of the return leg. With Barcelona determined to show that they’re still a great side after losing Neymar Jr. to PSG for £198 million, but as expected Real Madrid led by Zinedine Zidane and still by Ronaldo (but started on the bench), are a far greater force, than that of Barcelona, with or without Neymar. Let’s face it, they won La Liga and the Champions League, respectively last season. Now watch the highlights to see the favouritism from the referee to that of FC Barcelona, but still, they can’t beat Real Madrid, even with Cristiano Ronaldo starting on the bench. You see “karma” always has its way to let the righteous win in the end, no matter how much cheating and falsifying attempts by the losers to win. You see? Righteousness always prevails by the final whistle and the best team should win, since that’s what football is all about. Not even the referee could stop it, even though it looked like he was Barcelona’s 12th man on the pitch. (in Hinduism and Buddhism) the sum of a person’s actions in this and previous states of existence, viewed as deciding their fate in future existences. i.e. destiny or fate, following as effect from cause. Firstly, Gerard Pique tried to score a goal by the use of his hand, disguised as a header, and alas it didn’t go in, did it? Karma paid him his dues when he put the ball into the back of his own net in the fiftieth minute, from a Marcelo cross. Just perfect! Then Cristiano Ronaldo come on in the 58th minute, to boo’s from Barcelona fans, presumably only starting on the bench, because of the Spanish Tax authority controversy, where he maintains his innocence and which sparked him to say that because of that ongoing case, he told the court “that he wishes to return to England”, most likely to Manchester United, which has put the Red Devils on red alert. In the 77th minute, the notorious diver, Luis Suarez went down as if he was shot in the chest by a shotgun, what else would you expect from this tricky Uruguayan, right? 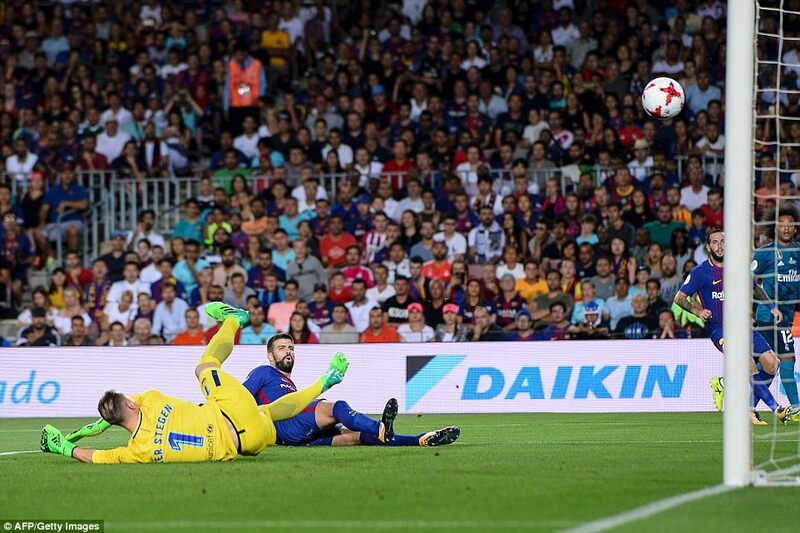 So, this gave the secretly petty Lionel Messi his chance to score from a penalty and so he did. But, was it fair? Nope, it wasn’t a penalty in a million years to begin with. They need all the help they can get right now, since Real Madrid show their dominance, proving beyond a shadow of a reasonable doubt, just how much stronger they are than Barcelona. With Isco playing a huge role in proceedings, with even youngster Asensio, left on the bench, as extra young-leg firepower, to keep in reserve. With it all square in the 80th minute, Cristiano Ronaldo and Madrid went on a break away, and “El Rey” of Madrid was given a sniff of an opportunity on the left wing and he dispatched a cracking shot into the top corner. What a goal! Now, who is really better, Ronaldo or Messi? 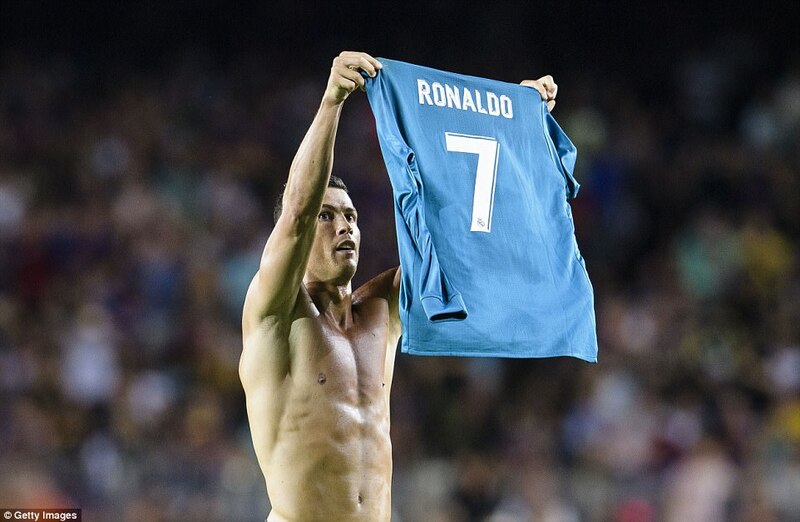 Ronaldo was also booked for celebrating when he took off his shirt. 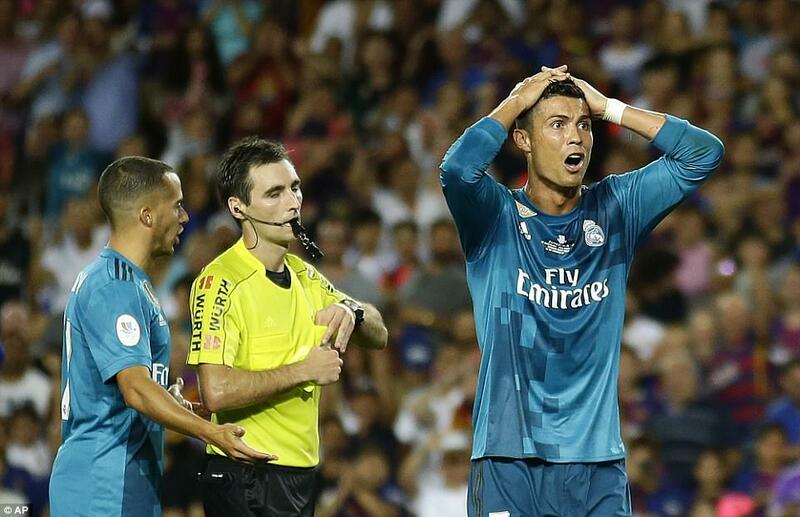 Just two minutes later Ronaldo was clear through on goal and when he was clearly brought down inside the box by Samuel Umtiti, instead of sending off Umiti and giving a penalty, the referee books Ronaldo for diving and presents the red card, which left Ronaldo stunned, prompting him to nudge the ref in the back, as he turned away, which also presented itself with another chance for the failing side of Barcelona to try and recoup the deficit in the second leg. Absolutely shocking favouritism by the referee to Barcelona, once again! But, as “Karma” would have it, in the 90th minute, substitute Asensio breaks free on the left, then lets loose a cracking shot in off the cross bar, making it 1-3 to Real Madrid, and righteousness and the best team came out clear winners, despite referee favouritism towards Barcelona and Messi. It does seem like Spain and Spanish Tax Authority are trying to force Cristiano Ronaldo out of the country and this can only be because, perhaps Barcelona just cannot cope with Real Madrid being so dominant over them, with Ronaldo at the helm. So, this last sending off is greatly unfair and this will upset Ronaldo even further, with the second leg coming on the 16th at the Santiago Bernabeu, sans Ronaldo, but can Barcelona even win, when he’s not playing? That remains to be seen and just how much more favouritism does Barcelona even need? Will Coutinho or Dembele sign for Barcelona? Will Ronaldo leave Madrid soon? And, will Kylian Mbappe sign for Real Madrid, instead? It’s going to be an interesting next few weeks, indeed.